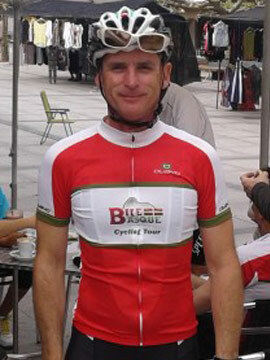 Xavier was a high-end competitive cyclist for eight years. Balancing racing his bicycle and his studies was a challenge, but he successfully completed a business degree before heading to London. During his stay, he realized just how popular cycling in the UK had become. His passion for cycling naturally progressed into organizing cycling holidays for bicycle lovers all over the world. Born and raised in Paris, Xavier spent most of his holidays in the Basque Country with extended family that lived in the region. When he was 15, his immediate family purchased a vacation home in Biarritz, and that was when he started cycling and really began to discover the sheer beauty and the enormous variety of cycling the region had to offer. He started organizing training camps from his Biarritz home during the summer and in the springtime. Since then, he has developed a real knowledge of the region and knows the most attractive roads and locations for cycling. Scott Davison was born in Washington, DC and has lived in several cities in the US, Canada and the Ivory Coast of Africa. He raced his first mountain bike at age 14 and since then has competed in many two-wheeled disciplines but is most passionate about riding his handmade road bike in the mountains of his current home, the French Basque Country. When he isn’t riding, he is busy building custom wheels or repairing bikes at his shop, Capra Velo in Biarritz. His other interests are motorcycles, good food, great beer and exploring the world. 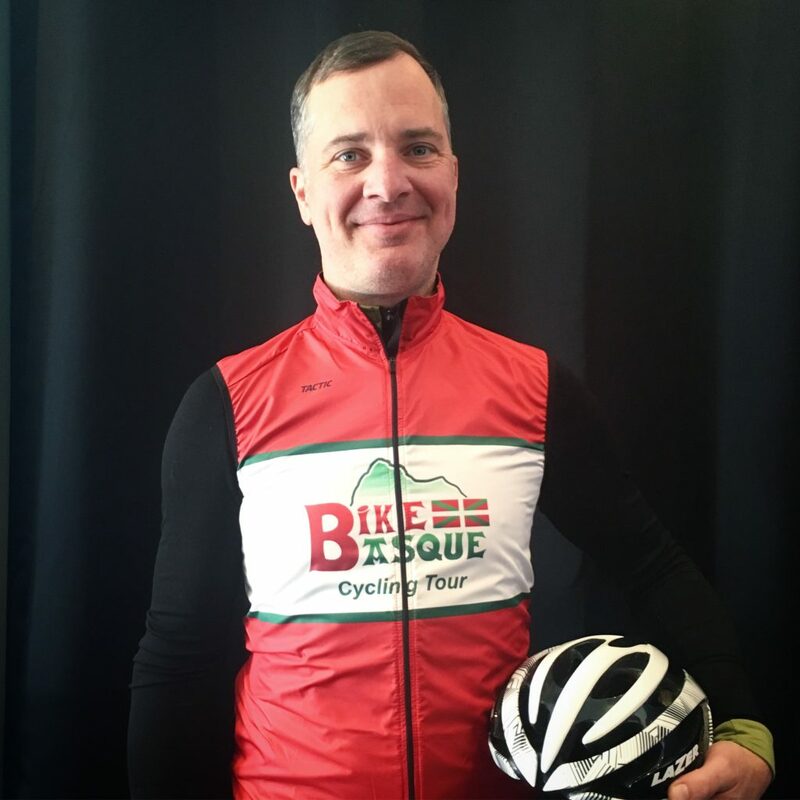 He is eager to help clients discover their own bicycle adventures and devoted to providing a worry-free ride. Nicole Davison is a native Texan but thinks she might have been French in a former life. That’s why she can tell you all about the local cheese or variety of cow as you cycle with her through different départements. She has formerly raced cyclo-cross and mountain bikes, loves single speeds and prefers rough pavement over smooth. 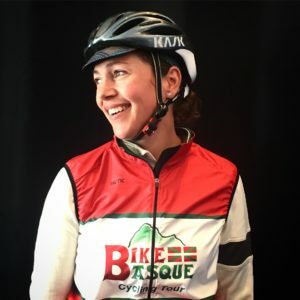 She has ridden the entire Tour de France route for charity (twice!) and enjoys climbing the famous cols herself then watching the professionals race up them. She says it’s like reading the book before watching the movie. Speaking of books, when she’s not riding, she can be found reading or writing in her journal…and probably dreaming about her next bicycle adventure. Darren is an accomplished distance runner, cyclist (and humorist!). 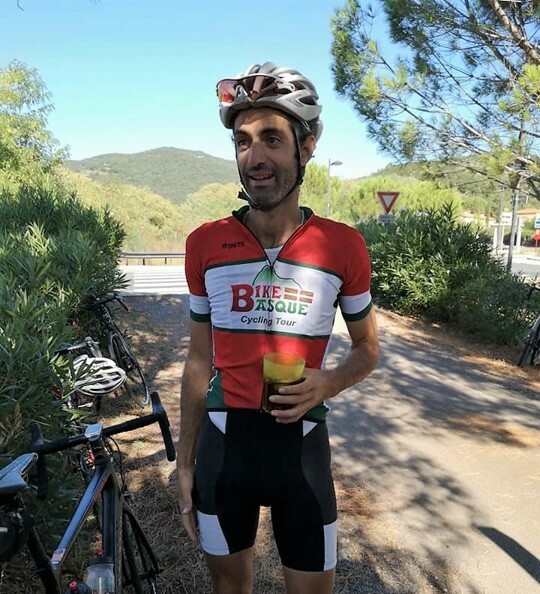 He has been racing around the Globe for over 20-years, in Australia, France, Hong-Kong, including the famous Australian race “Herald Sun Tour”, he is now based in France, guiding cycling tour and running his guest house “Chambre du Pont de la Légende” in Sauveterre-de-Béarn. 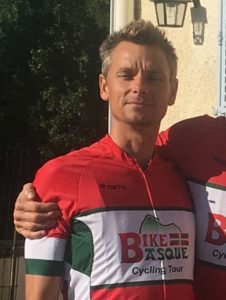 You can take a peak at what he has been up to of late on his Strava “Darren Benson”.